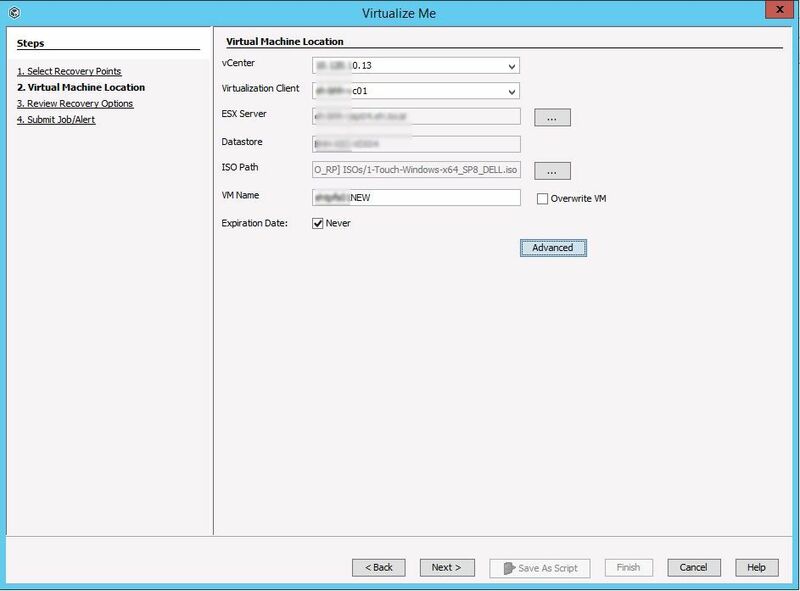 Virtualize Me is a really useful feature that I’ve not had the requirement to use until recently. 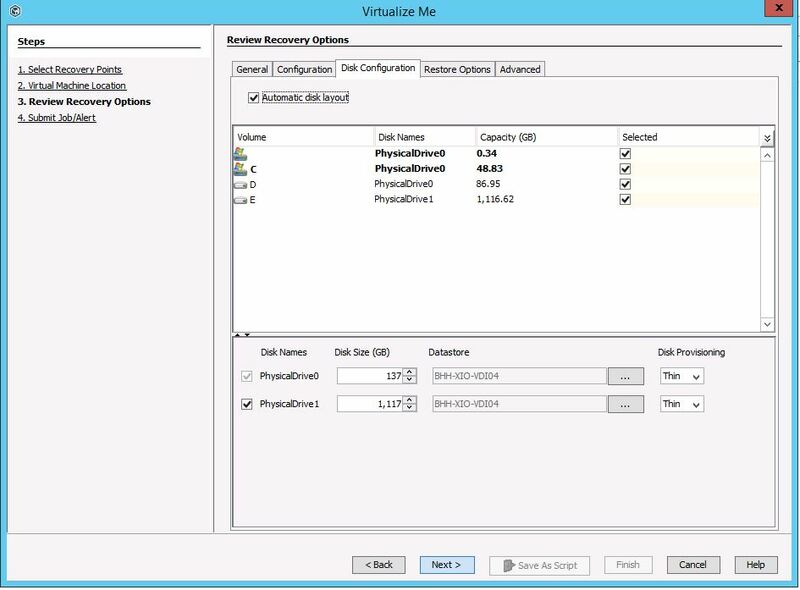 For any number of reasons, most companies still have actual Physical Hosts running normal workloads. 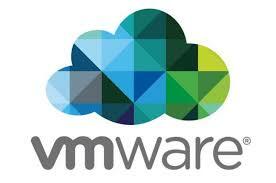 They may not have been virtualized for a similar number of reasons. That’s life. 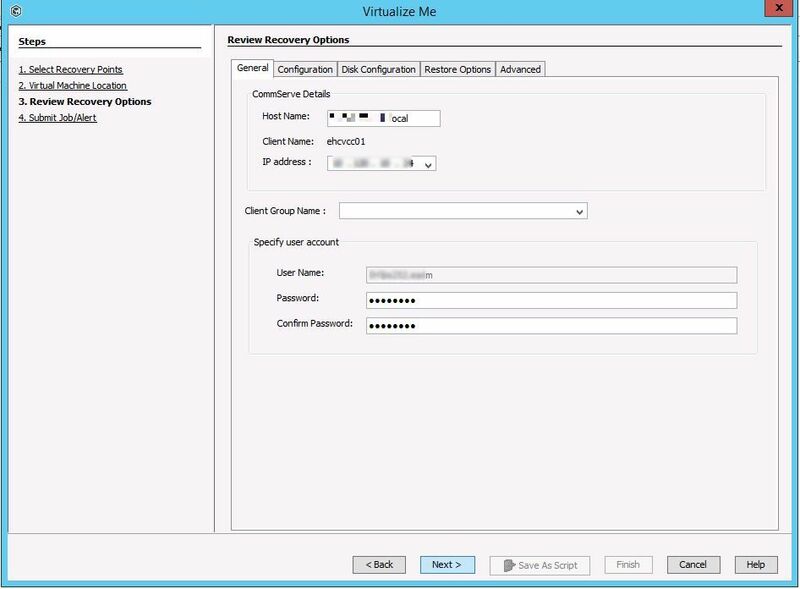 I found myself with a requirement to convert a Physical Host to a VMware Virtual Machine recently for a host in a remote site with quite poor connectivity. 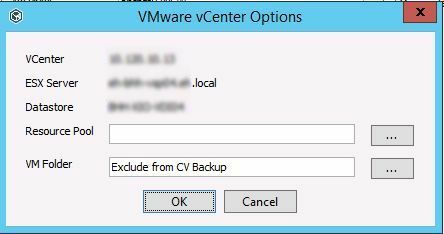 As it’s a large host, this was going to make a normal P2V using VMware converter troublesome. (Well over 1TB of data). 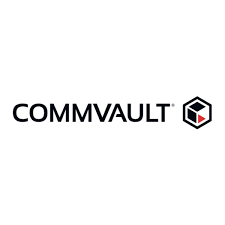 There’s a feature in CommVault called Virtualize Me. 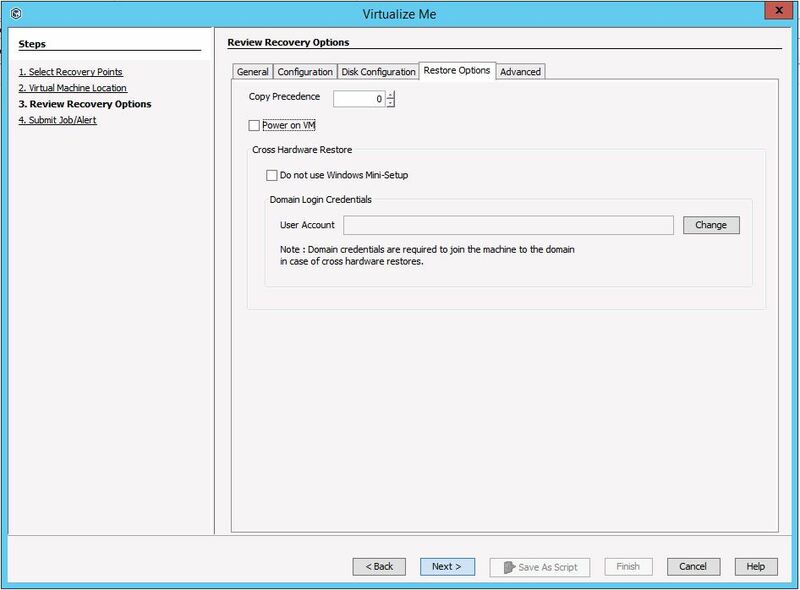 In simple terms this uses the traditional (non VSA) existing backup data to create a VM. In my case this was going to be (and indeed was) perfect. It’s an extension of their 1 Pass process. 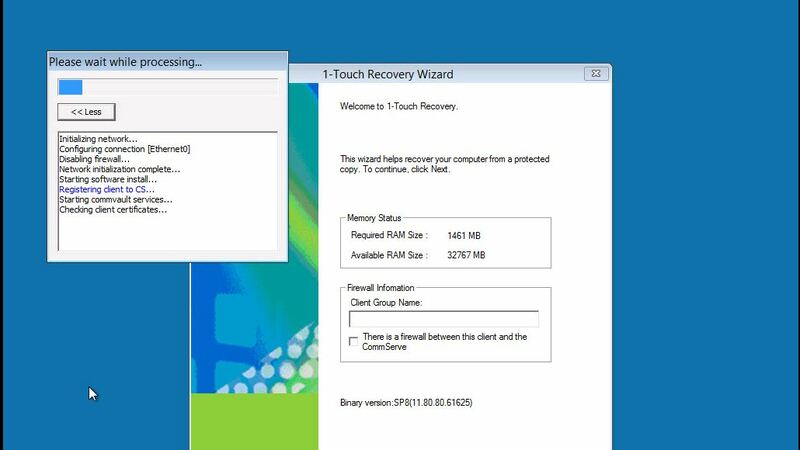 Firstly, download the 1-Touch client with your Hardware manufacturers drivers installed and your current Commcell SP level. 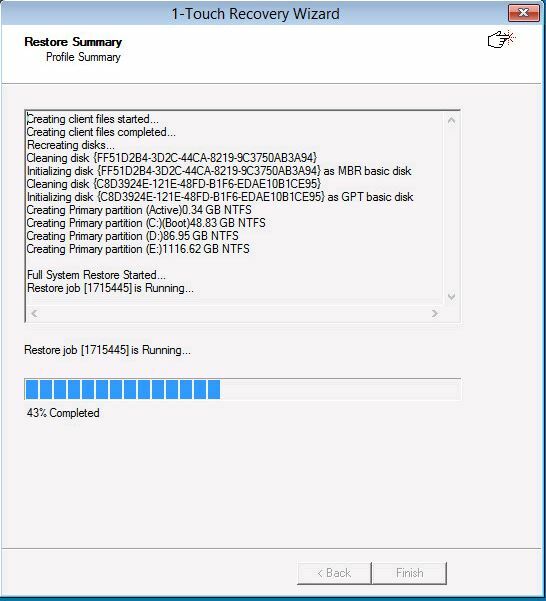 For me this is a PowerEDGE server so I downloaded 1-Touch-Windows-x64_SP8_Dell.iso and copied it to my normal “ISO” store. 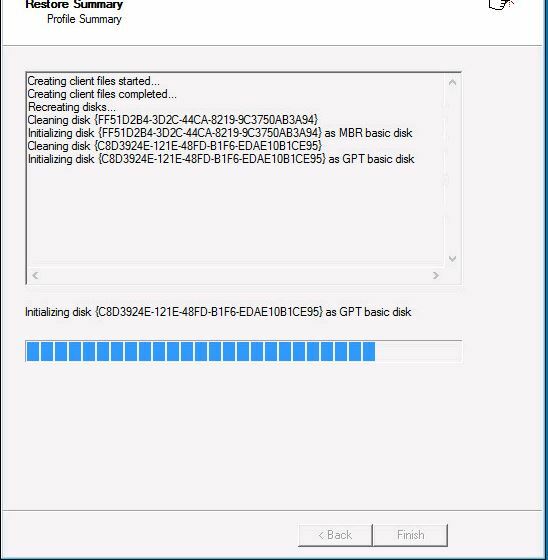 Choose/Select the VCenter Inventory location to restore to; and the location of the 1-Touch iso you downloaded earlier. 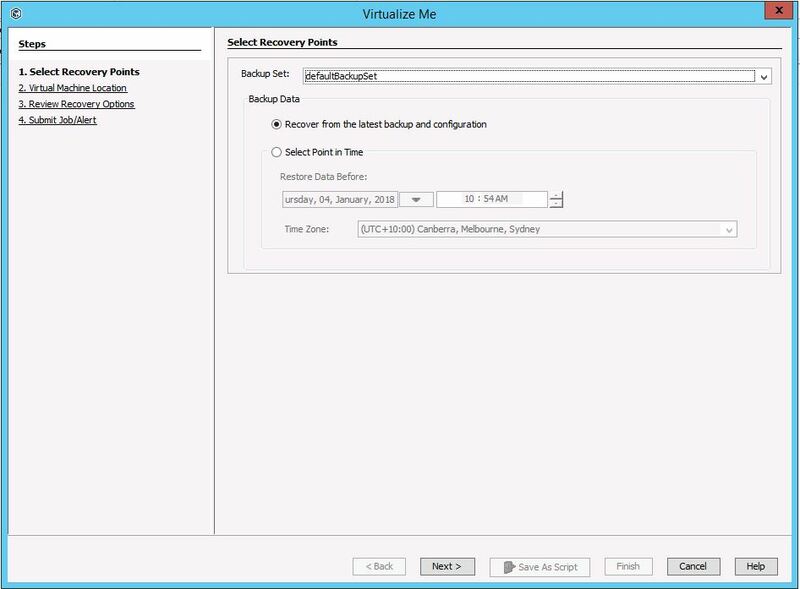 Virtual Center, CommCell, NIC, IP Addressing, Disk Layout, Post restore Option etc. Click Finish to submit the job. Watch the VC tasks and you’ll see a number complete. 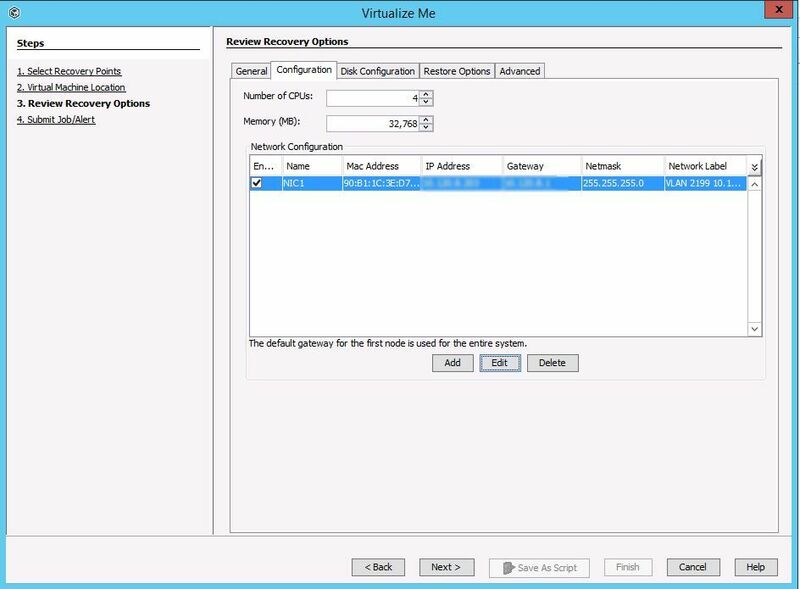 And the new VM Power On. Open the console observe the process; Note that this is all automated. You could just walk away while the process completes. And then you’re done. 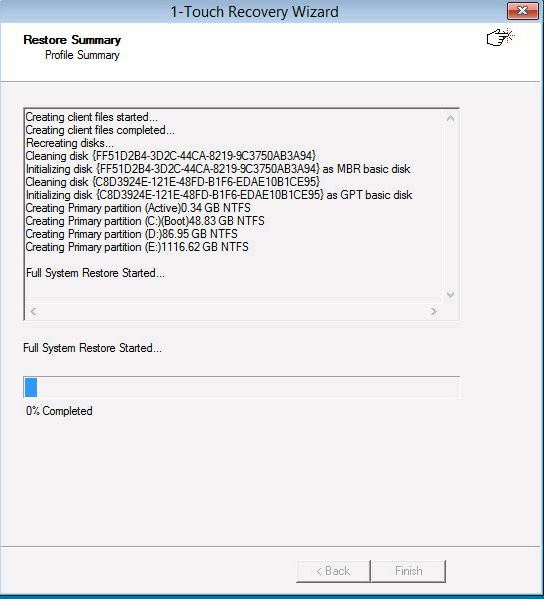 Much like after a P2V completes, I do a cursory check and tidy up anything such as orphaned drivers, un-required hardware drivers and apps (such as OpenManage). Voila, process is done and we’re back in action. 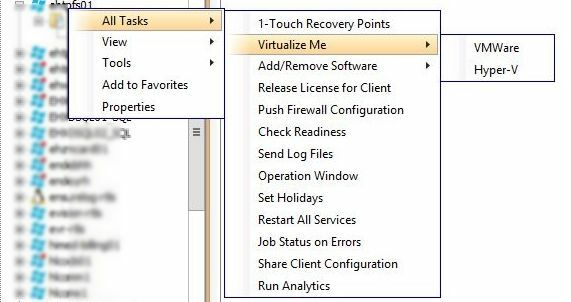 I can see this being very useful and reliable for DR, creating development environments or just testing. It’s fast and convenient. hi, I love it. 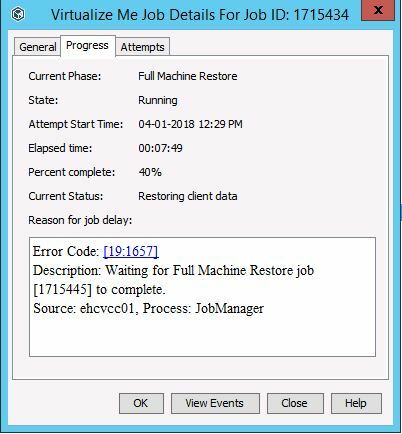 it is really useful when you have VM machine which has to be back up as a physical machine. I am using their default image. 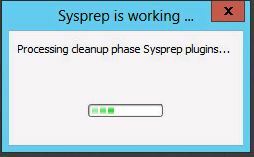 CV’s recommendation is to not to use sysprep(another HW) even for virtualization from physical HW. 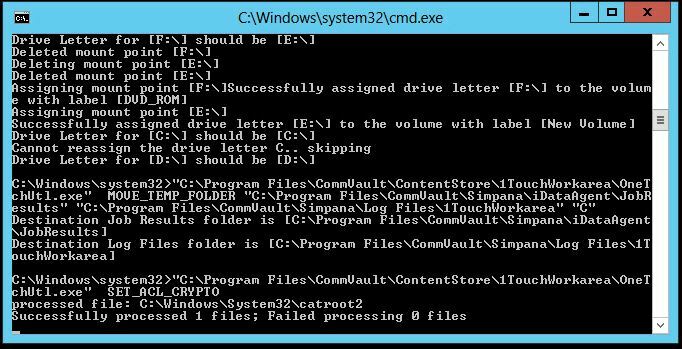 Interesting thing is that respond file is in a definition of VM machine. 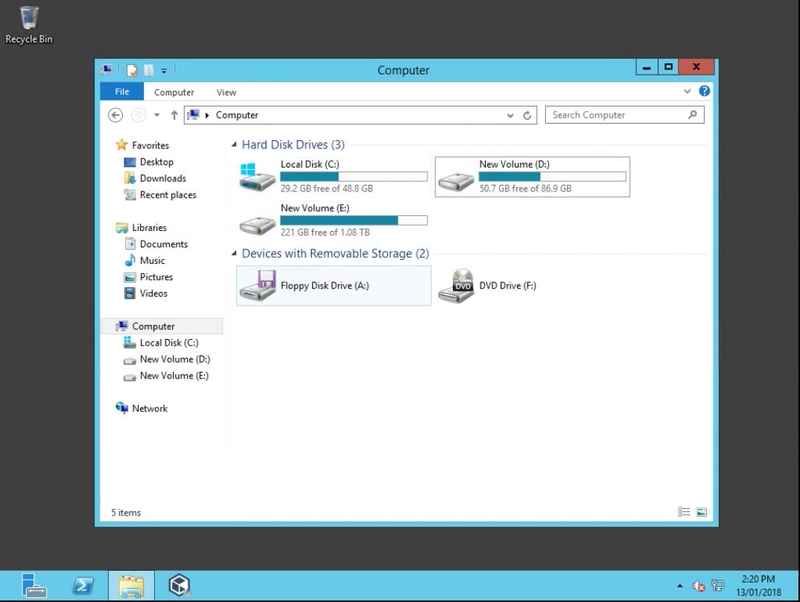 BTW I like Live Sync feature as well. It can be used for migration as well. Hi Brett, great article, looks like a very handy solution to solve some challenigng problems. I will keep this in mind for future P2V’s.